Anchar [Upas Tree], no. 3, April 1906. 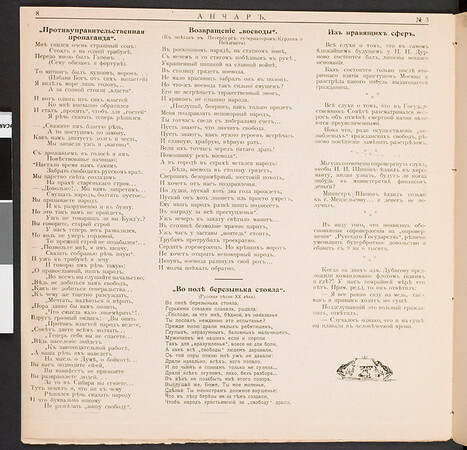 Published by L. M. Zuzerovich-Klebanskii. Edited by I. I. Smirnov. St. Petersburg. Тypography: Kh. I. Bredenfeld and Co. Journal of public and political satire. This issue contains poetry, prose, pictures and illustrations.